It’s Saturday night and you are heading home from a friend’s house where you were drinking. Suddenly, you notice flashing blue lights behind you. You pull to the side of the road and hope that the lights pass by you. They don’t. Don’t make any sudden moves inside your car. Police Officers are always on the lookout for signs that their safety might be at risk. 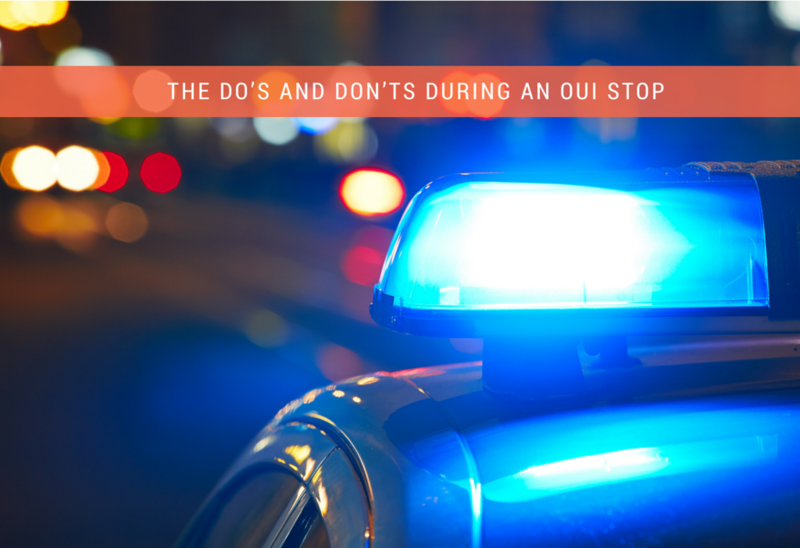 Your best bet is to try and stay calm and listen to the Police Officer’s questions and instructions. Don’t forget that you have the right to remain silent. The Police Officer will undoubtedly ask you a number of questions during their investigation. You don’t have to answer any of them. Don’t forget that you have the right to refuse to take any field sobriety tests. Police Officers routinely ask OUI suspects to perform field sobriety tests. These tests are designed to allow the Police Officer to determine whether or not your ability to drive your vehicle safely has been reduced by alcohol. Be aware however, that if you don’t take the test there is a strong likelihood that you will be arrested. Don’t forget that you do not have to take the breath test or portable breath test. These tests can be administered during the initial investigation or after you have been arrested and are being booked at the Police Department. You cannot be forced to take these tests. Be aware however, that your refusal to take a breath test will result in an automatic suspension of your license. Be respectful. Rude, obnoxious or aggressive behavior is a common manifestation of intoxication. Listen to each question the Police Officer asks. Nonsensical answers to questions are also a common sign of intoxication. If you decide to take the field sobriety test be sure to mention any physical conditions you may have that might affect your balance or ability to complete the tests. If you are arrested retain counsel immediately.